It’s always nice to get a call to speak about the importance of historic home preservation. It rarely happens to be a feature article in a major local newspaper, so you can imagine my surprise when just that happened. 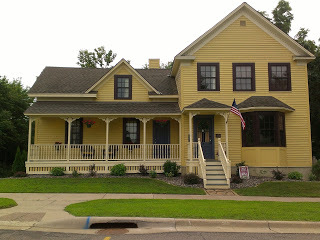 The Star Tribune gave me a call about the Shaw-Hammons House in Anoka, pictured above, whose owner informed them of my historic home specialty in real estate. They wanted to know about concerns in preservation and saving endangered properties from demolition, and I was happy to let them know my thoughts on the matter. With few preservation programs available, it’s also a rarity. Indifference from city officials, minimal grant aid and foreclosures have placed the futures of some of Minnesota’s most prized historic homes in jeopardy. “It can take more than a century to be placed on the National Register of Historic Places and only a few minutes for that same house to be bulldozed,” said Realtor Jennifer Kirby, creator of the “Historic Homes of Minnesota” blog. This past week I had the honor of sitting on the Jury Panel for the 2010 Minnesota Preservation Awards, my second year doing so. It is not an easy task deciding on who should win an award, but it is exciting and interesting to see the numerous projects all over Minnesota that are striving to preserve our historic heritage. Now in its 26th year, the Preservation Awards honor the top Minnesota preservation projects for various categories, including but not limited to Adaptive Reuse, Restoration, Stewardship, and Community Efforts. This years event will take place on September 16th, in Winona at the Winona County History Center. If you would like to attend, please visit the Preservation Alliance website for more information. Saving a historic home is not an easy task, especially when no one wants it. 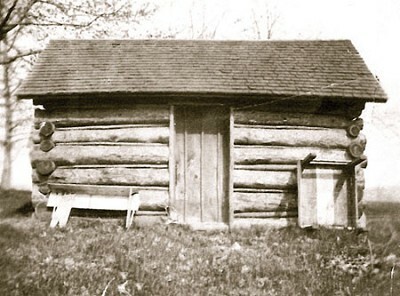 In 2005, the Weaver house was placed on the Preservation Alliance of Minnesota’s 2005 10 Most Endangered List, as the city wanted the home to be moved off the flood plain, and if no site was found, the home would be demolished. 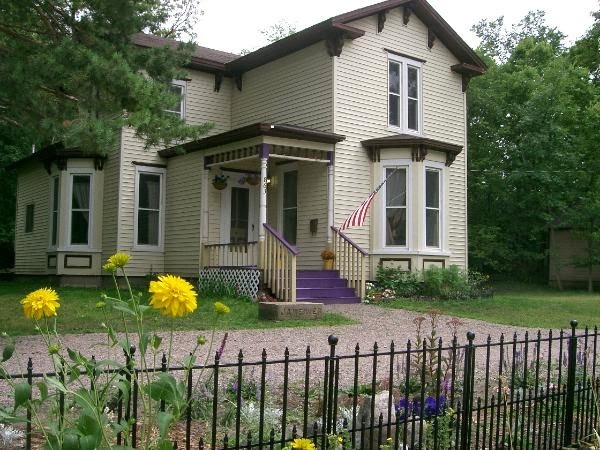 Built in 1878 by Julian A. Weaver, a civil war veteran, this Italianate home is one of the most intact examples of 1870s residential architecture remaining in west-central Minnesota. Seeing as most of the surrounding homes had been demolished over the years, or moved, it was extremely important that this home be saved. The Granite Falls Historical Society and the City of Granite Falls had looked for three years to find a buyer to no avail. In January 2008, just as the home was slated for demolition, Sarina Otaibi, an undergraduate college student, offered to purchase it and saved it from demolition.The house was moved three blocks away in May of 2008, and Ms. Otaibi spent the next year in renovations, and eventually sold the home to a new owner in December 2009. The Preservation Alliance of Minnesota awarded Ms. Otaibi a Minnesota Preservation Emerging Leader award for her efforts in historic preservation.